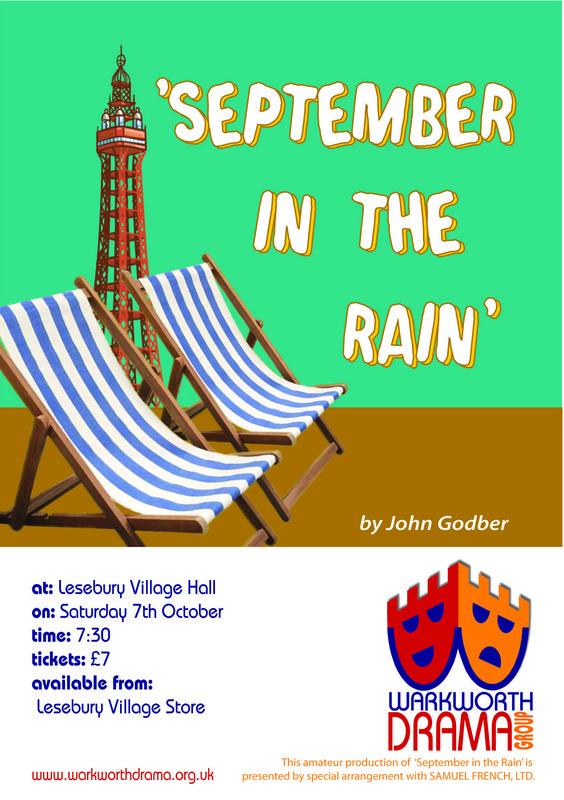 “September in the Rain” is a nostalgic and heart-warming observational comedy from renowned playwright John Godber. It follows the life of miner Jack and his wife Liz on their annual holiday to Blackpool over the years. A true Northern love story. They laugh and bicker as they enjoy ice-cream, strolling along the seafront and paddling in the sea. Knotted hankies, stripey deckchairs, pale bare legs and trips to the Tower Lounge conjure up a bygone era and the good old days. Tickets are £7 from Lesbury Post Office. There may be some available on the door.